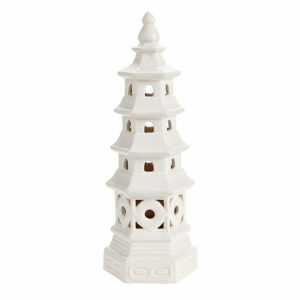 Need help incorporating the Chinoiserie look in your home? 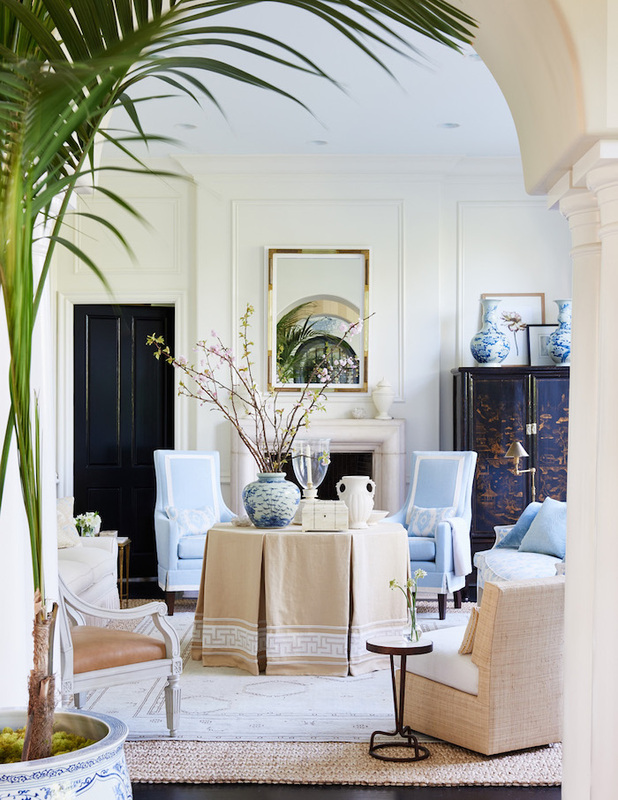 Read these 5 tips to master Chinoiserie chic decorating! There is just something about the Chinoiserie aesthetic that appeals. 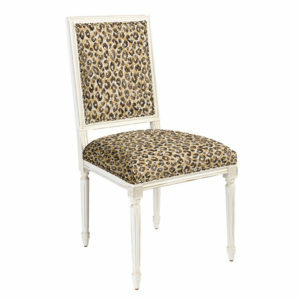 It is bold; it is exotic; it is fanciful; it is feminine; it is maximalist! 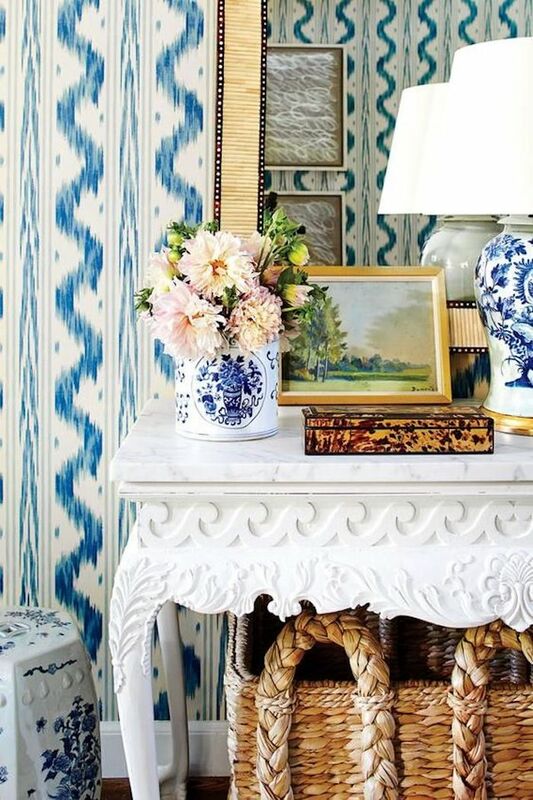 The Chinoiserie chic look features layers of pattern, color, texture, and collected accessories for a traditional design that delights the whimsical and daring in us. 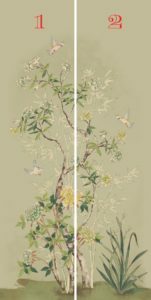 Chinoiserie /shin-wahz-ree/, French for Chinese-esque, is a design and décor style inspired by the art and culture of China, Japan, and other Asian countries. It developed in Europe in the mid 1700’s as explorers and merchants began traveling to the far East and bringing back stories and drawings of this exotic locale as well as importing Asian silks, porcelain, and lacquerware. A craze for all things Asian soon swept Europe, and designers, artists, and craftsmen there started to create their own fanciful versions of these wares. These motifs can be found in fabrics, wallpapers, furniture, decorative accessories, lighting, and art. 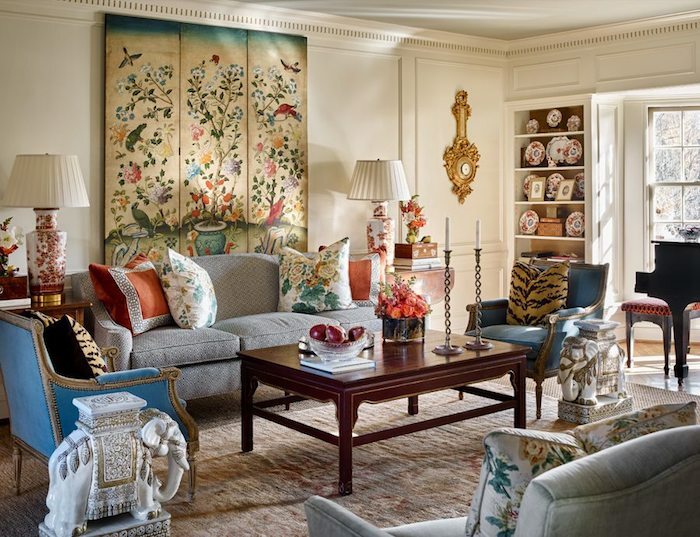 In this living room designed by James Farmer we see how these motifs come together for a lush, inviting look. Farmer has mixed a variety of Chinoiserie motifs from romantic florals with the art and fabrics to pagoda architecture and fanciful animals. Using these motifs is a must for Chinoiserie chic decorating! An important decorating component of the Chinoiserie interior that is easy to overlook, is the use of rich texture. From the high polish of a lacquered cabinet to a coarse jute rug and buttery leather to silky velvet, the layering of varied texture adds to the feel of a Chinoiserie space in a subtle but powerful way. 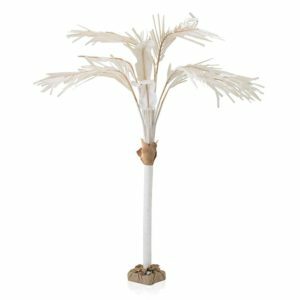 It creates sensory interest, engaging the eyes and touch. Mark D. Sikes room above shows us how a soft, largely neutral color scheme can come alive with the right textures and Chinoiserie accents. 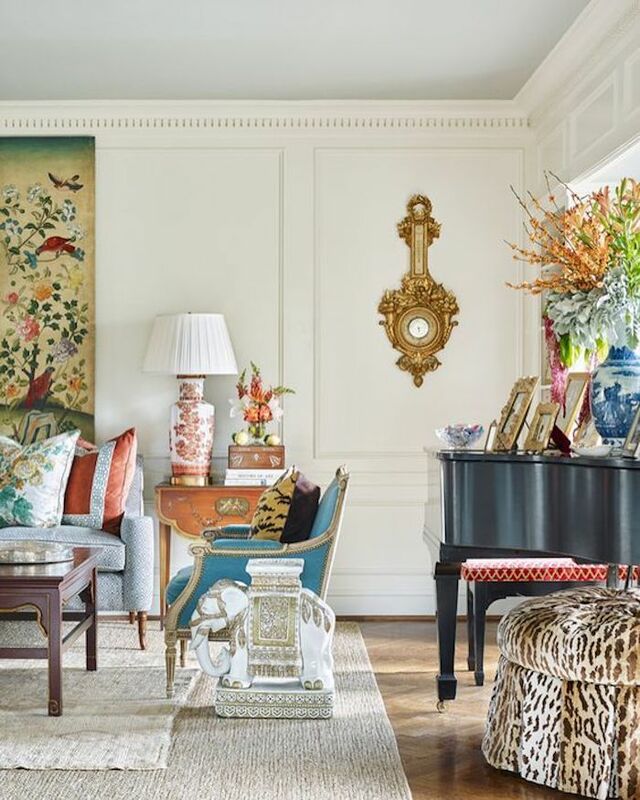 No one color palette represents Chinoiserie chic decorating, even though blue and white comes close, rather it is the use of bright bursts of intense color that distinguishes this decor style. Chinoiserie chic interiors are often bright and airy with pops of vibrant color or intense combinations of contrasting colors. Often the color choices seem unexpected like the mix of turquoise and cherry red in the sitting area above. Other favorite color bursts of Chinoiserie chic decorating: peacock teal, acid green, burnt orange, bubblegum pink, and kelly green. So go ahead and paint that chest a vibrant color or buy those loud throw pillows! 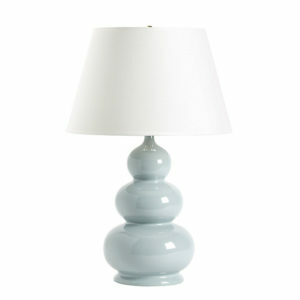 I dare you to find a Chinoiserie chic room that does not have at least one piece of blue and white porcelain on display! Go ahead try! These iconic ceramics are chic and easy to decorate with because blue and white is a straightforward contrast that can pair with anything! Whether you use a rounded ginger jar or a beautiful bowl or opt for a more unique form like a moon flask or garlic vase, you’ll find these decorative accents add charm and laid-back elegance to any space. 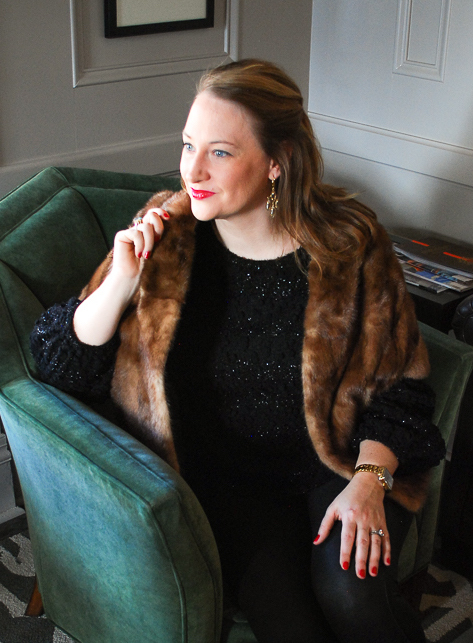 Chinoiserie chic and maximalism go hand in hand; they are both all about the layers. Layers of pattern, texture, color, and decorative collections. 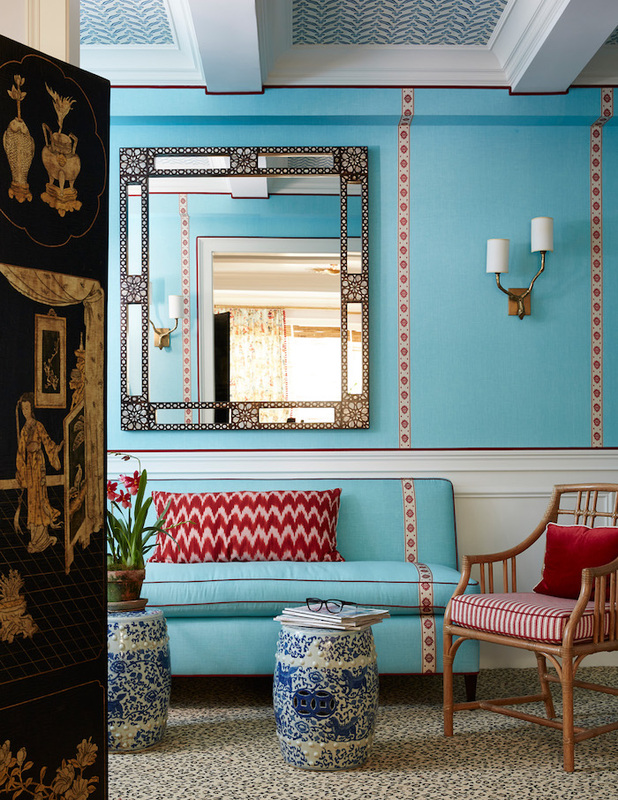 There is a feeling of abundance and exuberance when maximalism goes Chinoiserie that just works. 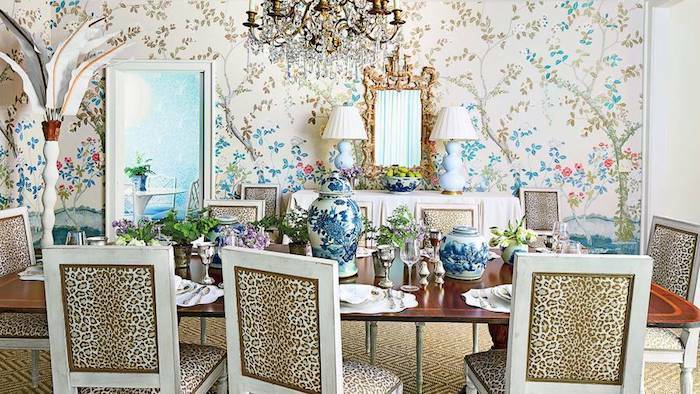 In the dining room above, notice the wonderful mix of pattern from the romantic floral wallpaper to the graphic punch of the leopard print and then the soft hazy elegance of the blue and white ceramics. This mix is eye catching and bold, but it works because the patterns relate to each other through color but the different scales and mix of geometric with floral balance the patterns out. 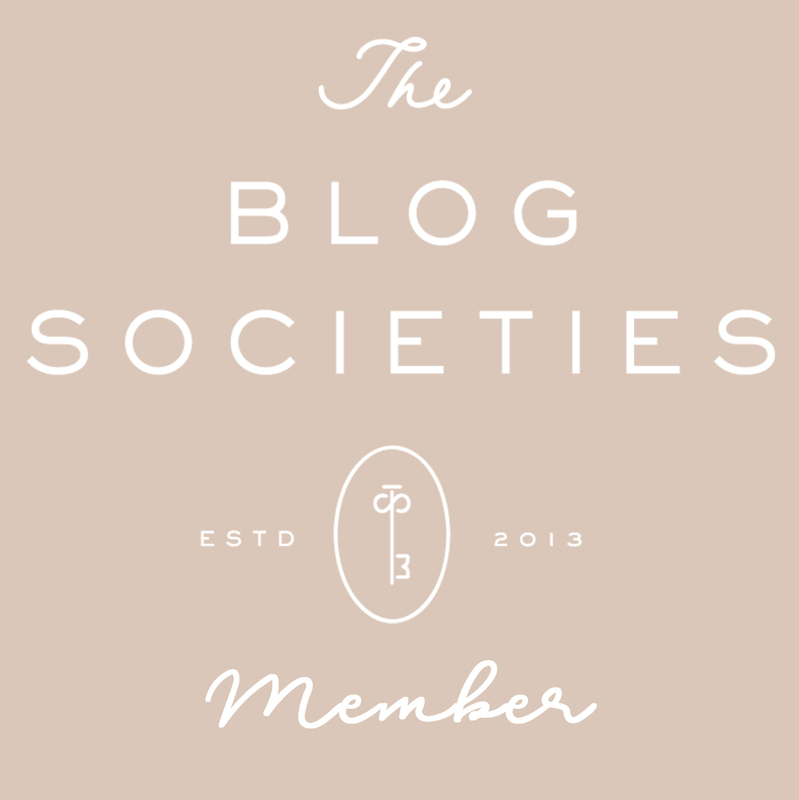 I’ll be sharing a full Chinoiserie Shopping Guide soon full of Chinoiserie decor for less! Want more Chinoiserie Chic inspiration? 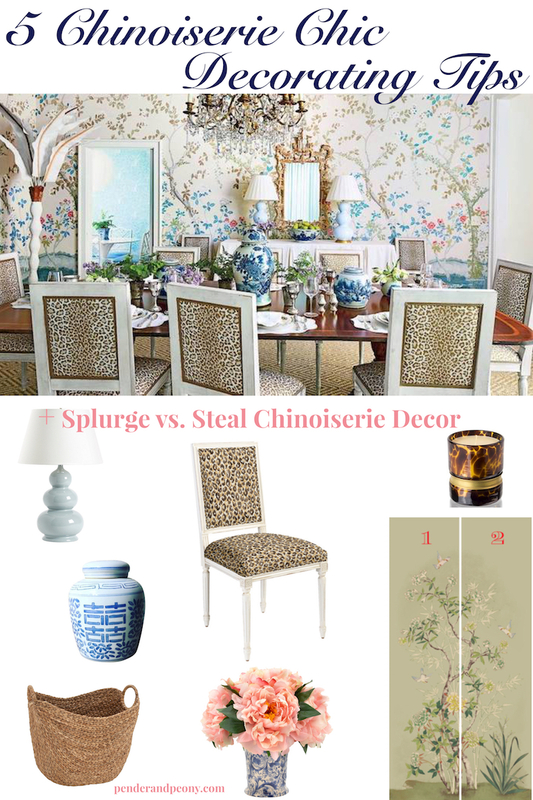 Follow my Pinterest board and check out this post on the elements of Chinoiserie! All such gorgeous spaces! Love this inspiration! Thanks Shauna! Hoped you found these tips useful!